You know what sounds super crazy difficult and is actually super crazy easy? 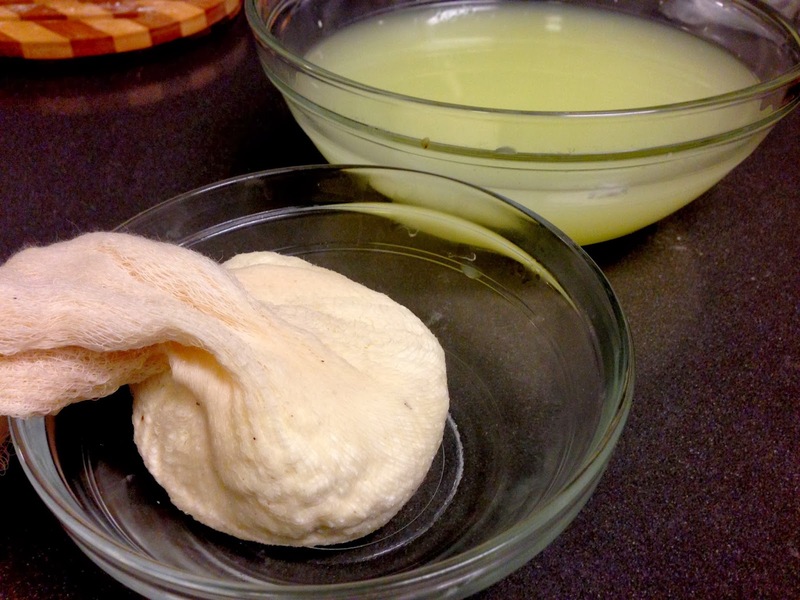 Making cheese at home. For real! No kidding. Absolutely. Especially if you're talking about two of the most versatile cheeses around - Paneer and Ricotta. And they both come together through the exact same process (almost). Also, this super easy process has the added benefit of making you feel super homesteady - like if all the world's infrastructure collapsed and you found yourself on the sole functioning farm in NYC (what? Brooklyn for the win!) you definitely wouldn't starve, and in fact, might even eat something tasty - because you can make cheese! 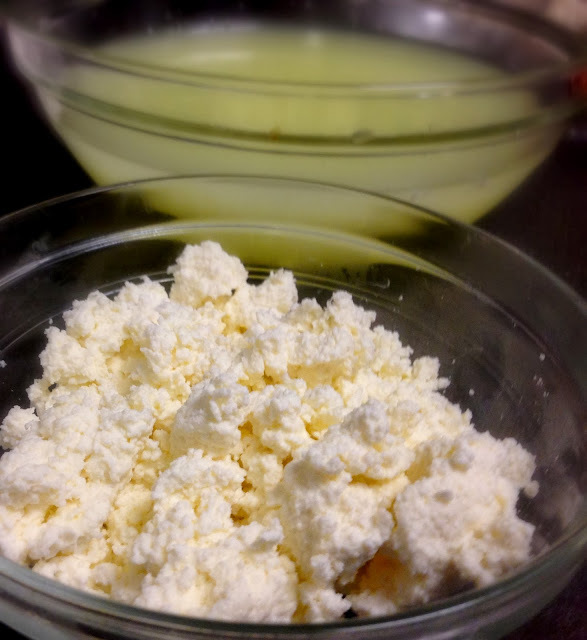 Turn off heat, add in lemon juice, and stir until you see the curds separating from the whey. 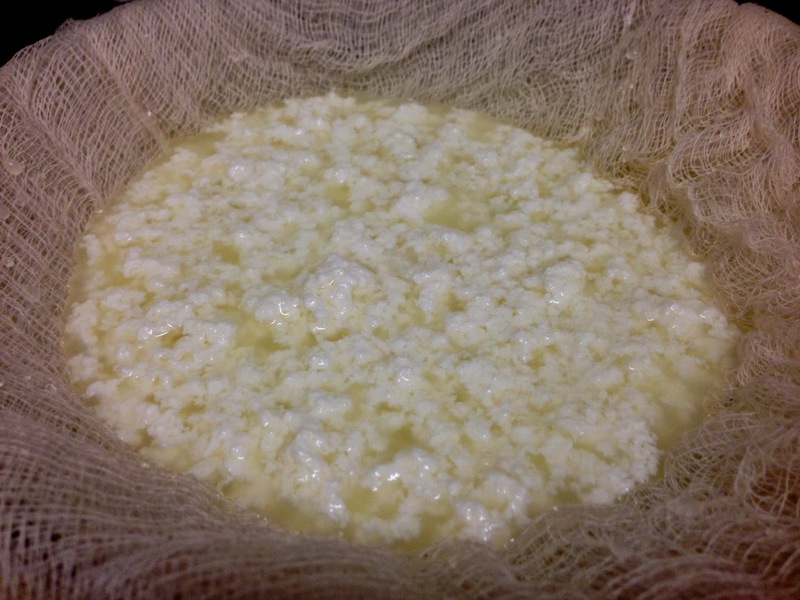 Strain the curds/whey in a cheesecloth lined bowl. 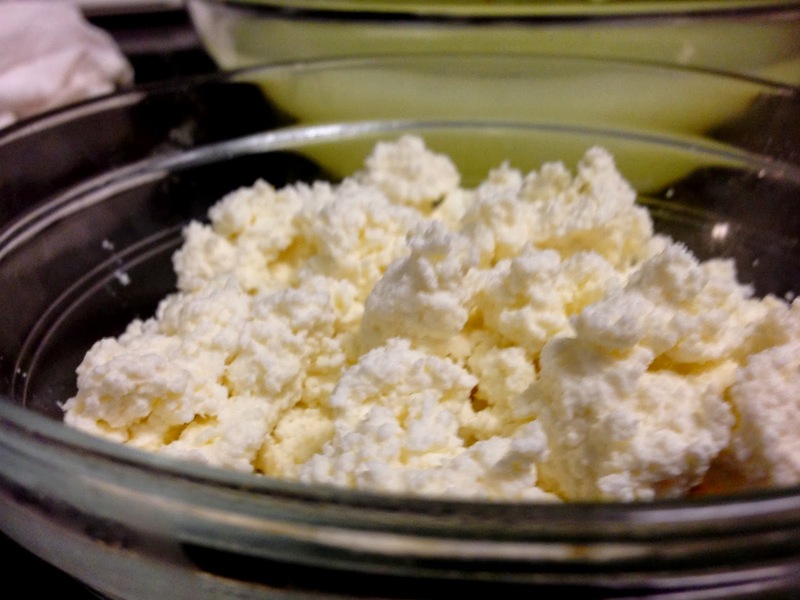 Squeeze out the whey and you get ricotta cheese! If you press it and let it set, you've just got yourself some homemade paneer. So here it is - your guide to surviving in a post-apocalyptic universe. Because nothing is impossible with cheese. 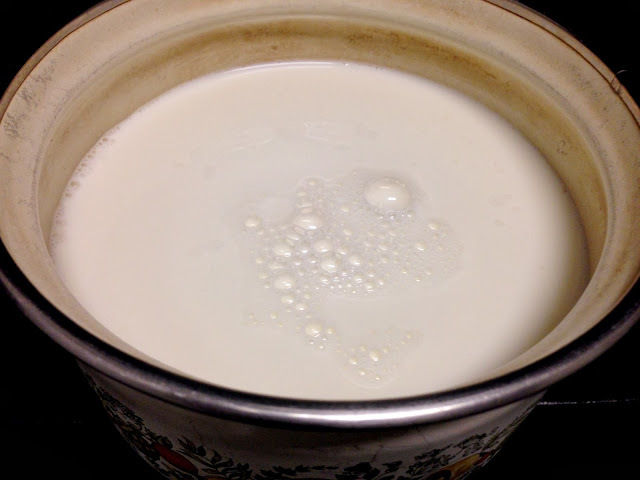 In a heavy bottomed saucepan bring 1 quart of whole milk to a boil over medium heat. Watch it! 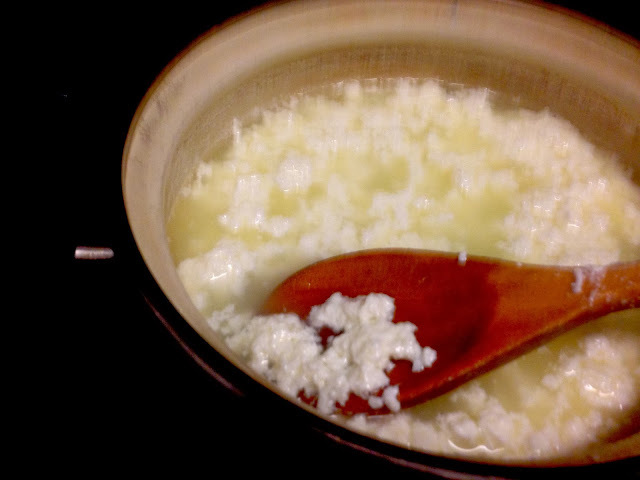 Milk boils over in a matter of seconds, and then you might have a huge mess on your hands. Right when it comes to a boil and starts rising in the pan, turn off the heat. Stir in 1 1/2 tbsp lemon juice and keep stirring until the whey separates out. The whey is quite translucent, so if your "whey" still looks quite milky and opaque, add more lemon juice (a 1/2 tsp at a time). 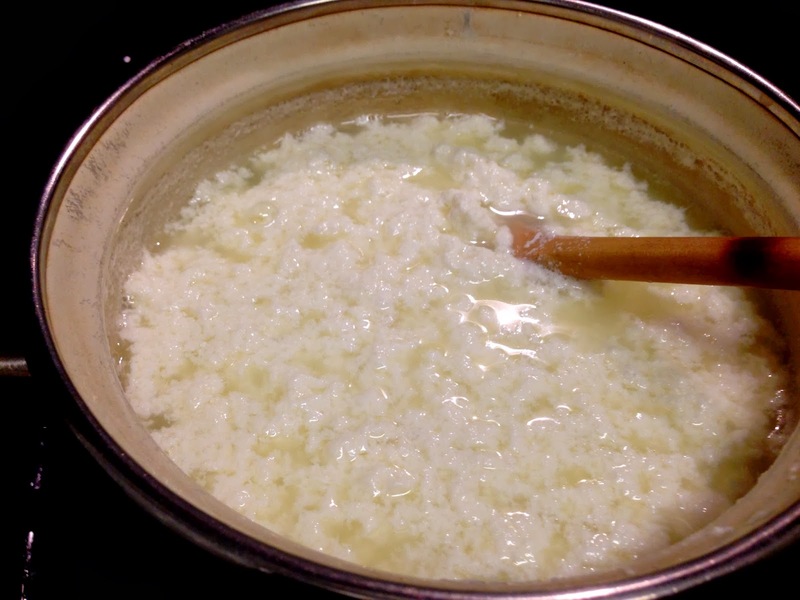 Let the milk sit while you line a bowl with cheesecloth. Pour the milk (which is at this point curds and whey) into the cheesecloth/bowl. When it has cooled down a bit so you can touch it safely, bring together the corners of the cheesecloth to make a little bundle and squeeze out as much liquid as you can. And if you want to make Paneer, there's only one additional step: tie up the bundle and press it between two plates (use a plate that has some depth to it so that the excess liquid doesn't flow all over your counters, and weigh down the top plate using something heavy). Let it sit like this for at least an hour, at which point you can pour off the excess liquid and you'll have a nice firm Paneer to use as you will - perhaps in a Paneer curry or super easy Paneer kebabs? And p.s. that whey adds a nice bit of acidity to soups if you're trying to find a way to use it up.